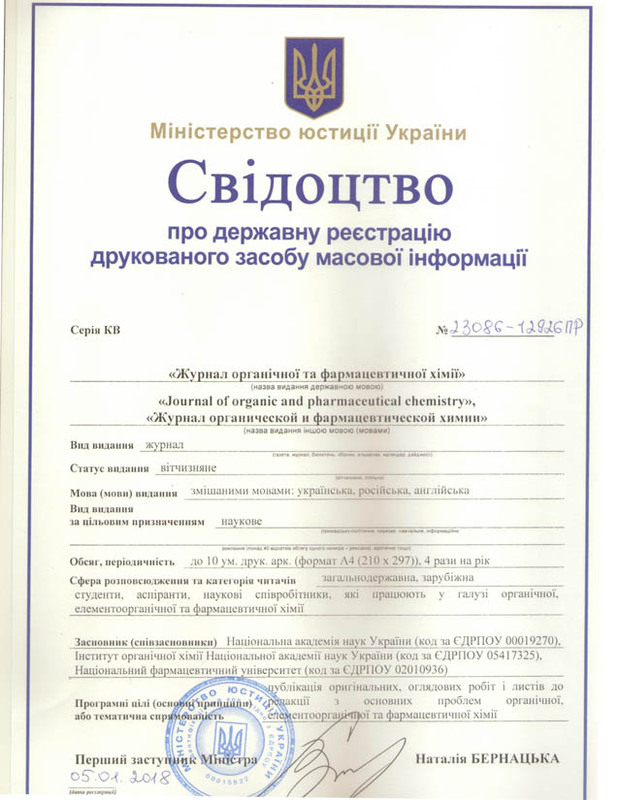 Žurnal organìčnoï ta farmacevtičnoï hìmìï has been registered by the State Registration Service of Ukraine as an international print mass media. Chemical Abstracts Plus (CAplus) is an integrated source of records from international journals, patents, patent families, technical reports, books, conference proceedings, and dissertations from all areas of chemistry, biochemistry, chemical engineering, and related sciences from 1907 to the present. CAplus contains more than 41 million chemistry and chemistry related research records in all areas of biochemistry, macromolecular chemistry, applied chemistry, physical, inorganic and analytical chemistry. From 1907 to present, CAS has indexed chemistry from more than 50,000 journal titles, including cover-to-cover coverage for more than 1,500 key chemical journals.